This spacious meeting space can accommodate up to 120 people in a large area with a fireplace and easy chairs/couches at one end of the room and camp style refectory tables at the other. 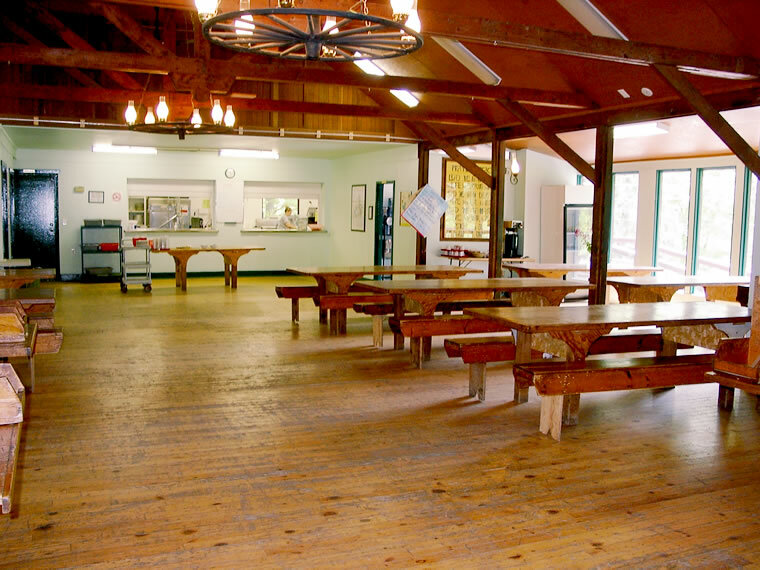 The attached kitchen provides camp style meals for groups using Lions Hall. 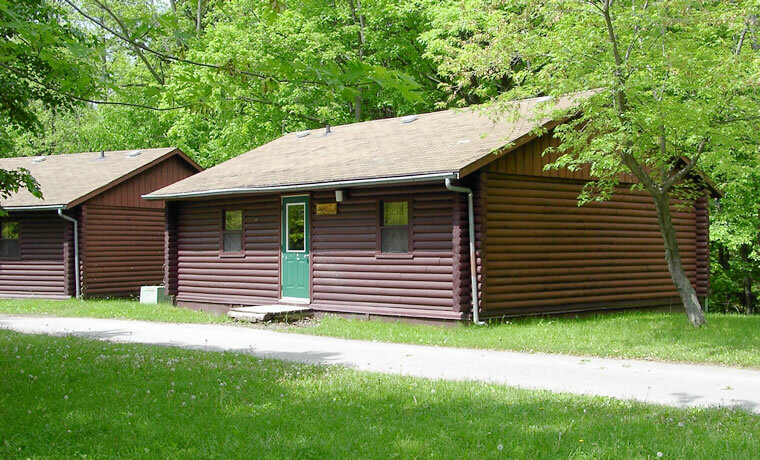 Each of nine log cabins offers a central meeting area with three bedrooms, each with two sets of bunk beds, and a shared washroom equipped with a shower. 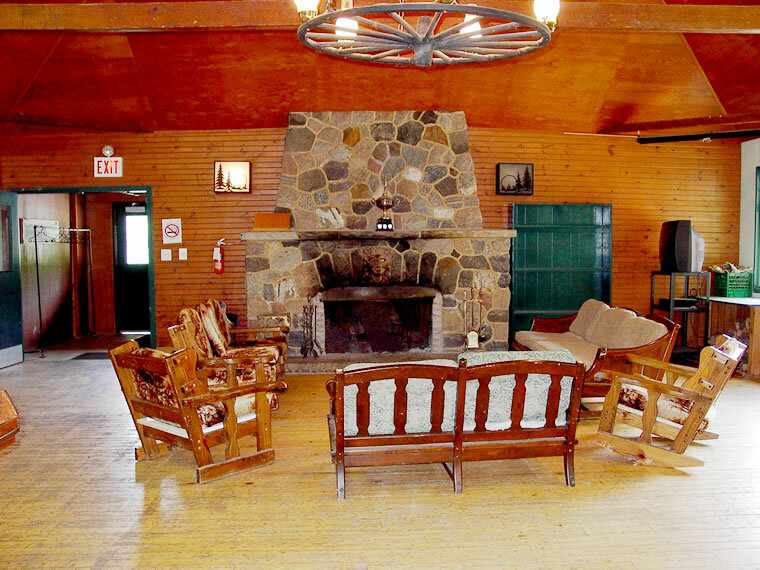 Six of the cabins are heated and all have ceiling fans.